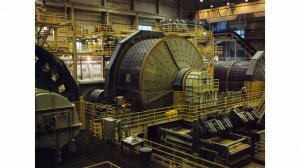 The sheer size and scale of new ore processing operations, with the aim being to substantially increase product throughput, means that primary semi-autogenous grinding (SAG) mills have grown to larger capacities. Sino Grinding Industries CEO and metallurgist Paul Peng emphasises it is critical that grinding media are designed and manufactured to cope with this increased demand. A primary influence on maximised performance is the longevity and overall health of the grinding media. “There are standards of steel manufacturing for specific applications and each end use is covered by an ISO, AS, JIS or other basic chemistry design. “However, with grinding media, there is not one specific standard that provides a basic grade for steel grinding media. Sino Grinding therefore went back to the drawing board to define the purpose of all media it produces,” says Peng. Sino Grinding determined that any SAG grinding balls it produced would need to withstand high levels of impact and should possess superior abrasion resistance. The current product range includes seven different types and grades of forged steel SAG grinding media in sizes ranging from 90 mm to 155 mm. Each grade has variations in chemistry, physical characteristics and efficiencies to suit the various grinding and impact environments of mills. “The key to ensure grinding balls will perform optimally is to dispense with the assumption that a single ball design can work well for all sites. One needs to factor in variations, such as mill size, ore type and characteristics, final grind targets and milling work practices,” adds Sino Grinding Africa, Europe and Middle East marketing manager Pieter Theunissen. Finding the grinding media best suited to a specific plant and application starts with an in-depth consultation between the Sino Grinding technical team and the customer. These meetings allow Sino Grinding to gather pertinent information from the operational team at the mill, including the mill size and speed, ball charge and total charge, grate and liner designs, orebody properties, ball size and consumption, as well as the operation targets of throughput and grind. Once this data has been gathered, modelling is performed at Sino Grinding’s head office under critical supervision. Various options will be presented to the customer, often with performance guarantees attached. In addition, a transitional strategy may be used which allows the customer to purge existing media and replace it with one of Sino Grinding’s chosen premium-grade solutions. “This two-way communication with the customer is of paramount importance to the success of the project. Our customers are milling specialists and we are completely familiar with steel alloying and are therefore able to provide them with a customised best practice solution. Together we can develop a ball design that will provide them with optimum results,” says Theunissen. The size, hardness and breakage rate of grinding media collectively play key roles in overall performance of the grinding circuit. Larger grinding media have a smaller grinding surface area, but offer a heavier weight that is generally used to break larger ore. High hardness together with a less than 1% breakage rate secure the lowest wear rate. Optimum milling is not achieved easily; however, it requires step by step improvements and may take years to reach. Sino Grinding continually reassesses milling data and, in some cases, makes adjustments to the ball design several times to approach optimisation. This flexible and precise control approach is possible as a result of Sino Grinding’s knowledge of the ball’s design and the manufacturing process. 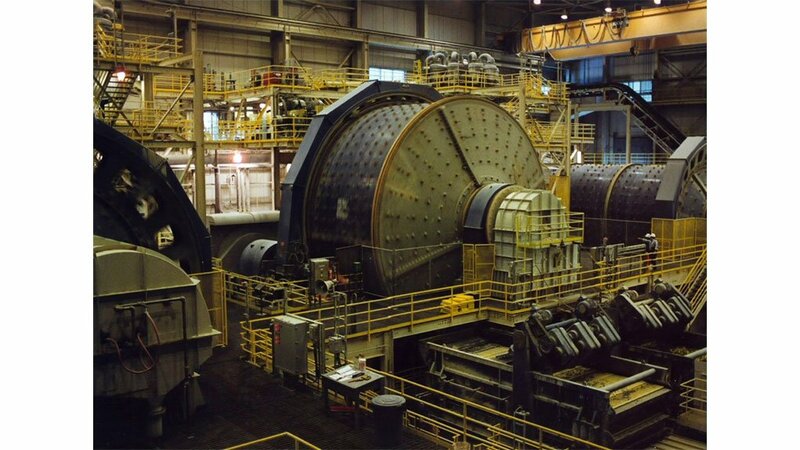 In 2015, after an on-site assessment at a giant copper mine in Mongolia, Sino Grinding’s technical team chose Sino-4 balls as the only suitable SAG ball type to supply the 38-foot SAG mills and drop the ball breakage from nearly 80% to less than 1%, providing a significant saving and production improvement to the client. Two years later, Sino-6 balls replaced the Sino-4 balls in those SAG mills and delivered an additional two-digit percent improvement in wear rate. The partnership between the customer and Sino Grinding allowed for continuous improvement and value generation. “Optimising milling is always part of our principle of continuous improvement. “We would like to invite the market to engage with us at Electra Mining Africa 2018, Hall 8 Stand A16,” says Theunissen. Sino Grinding has two high-capacity manufacturing facilities in China that can produce more than 200 000 t of grinding media yearly. Each facility has the strictest quality control processes in the industry. “We verify melt shop chemistry accuracy, use high ratio upset multi-hammer forging, monitor heat treatment and perform ball drop tests of each batch with consistency to ensure performance. “Full activation in the heat treatment process provides extremely high-performance standards and the micro-alloying process is carefully measured to meet each specific ball grade’s functional target,” Theunissen points out.